In addition to honoring our Mother’s on Mother’s Day and our fallen soldiers on Memorial Day, this is also a month to honor the birth of Glenn Curtiss himself – 140 years ago. His birthday is May 21st. 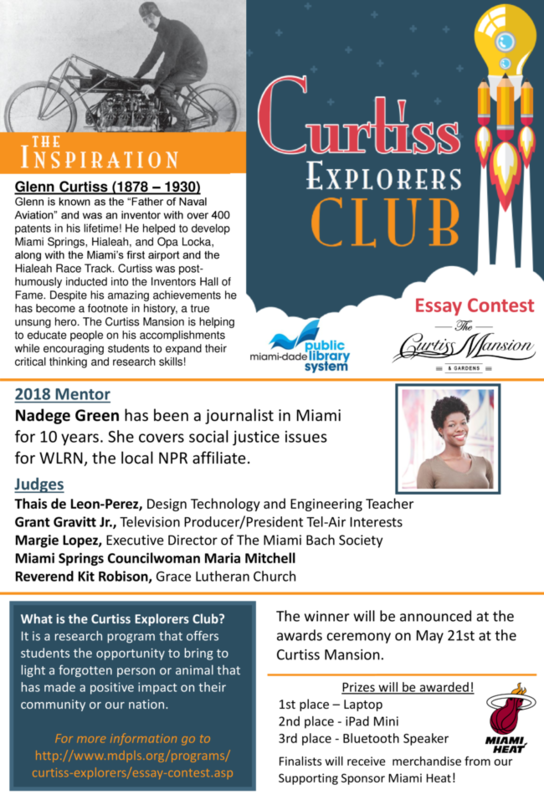 Also on May 21st, the Curtiss Explorer’s Award Ceremony will take place and the winners announced here at The Curtiss Mansion. 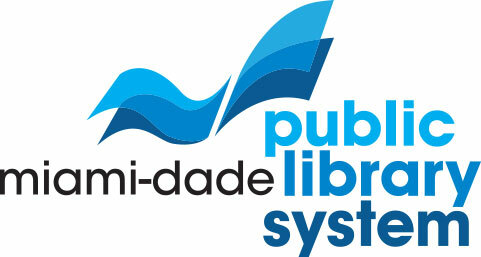 This contest has been in partnership with the Miami-Dade Public Library System the last two years and has grown consistently with their help. Dade County Schools also assisted us in meeting with several educators who promoted the contest in their classes. 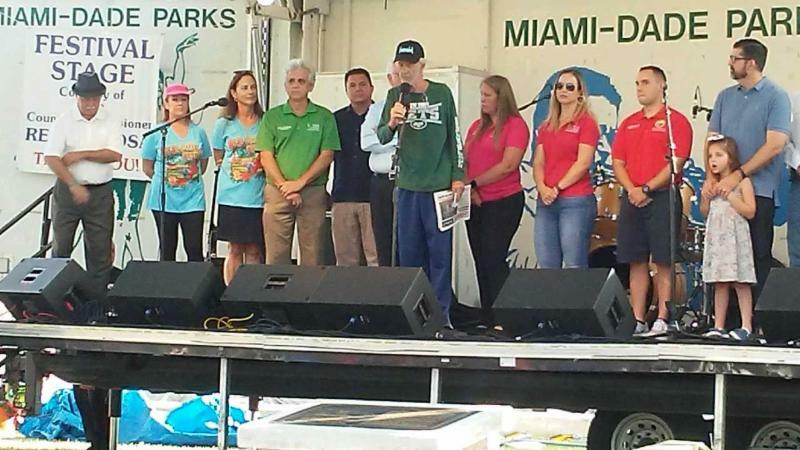 This year’s competition had multiple schools represented in Dade County and approximately 70 entries. This is a substantial increase from the contests’ humble beginnings. 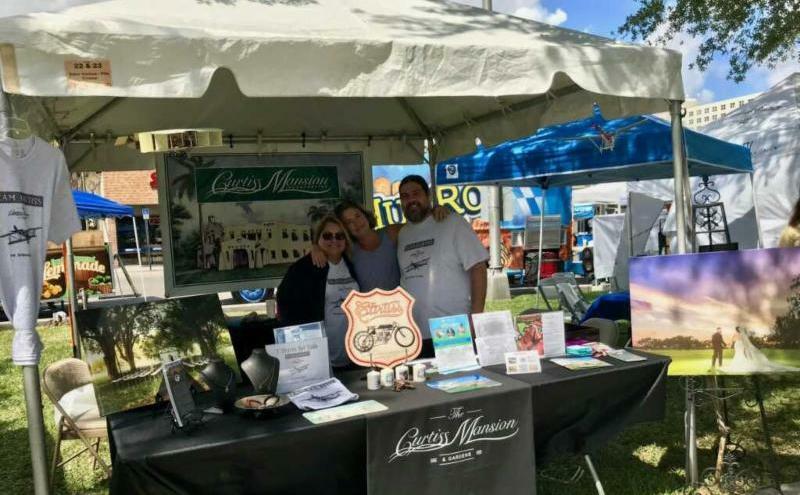 It is exciting to see this continued growth.. which in turn creates more awareness in our County’s young people of Glenn Curtiss and his contributions to aviation, invention and the Miami land boom of the 1920’s. Local Miami Springs Senior High school student, Ricky Aguila, raised money with his service project, “Aerial Miami Springs.” The funds he raised and donated to CMI, enabled us to be able to have more tech prizes this year for the top three winners of the contest. 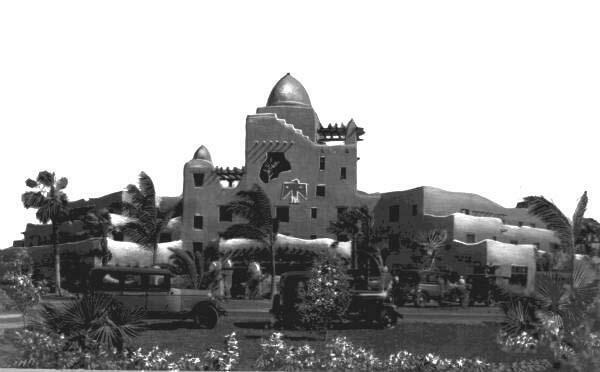 The following day, Tuesday, May 22nd, I will take on the monthly speaker role; focusing on Glenn Curtiss’ additional contributions to the South Florida 1920s land boom with a strong emphasis on architecture. Being that it’s the day after his birthday – there may even be singing and cake. This is open to the public and completely free of charge. Have a wonderful May ! March Public Speaker Wally Clark! Thank you to Wally Clark for speaking to us about how to get the perfect photo. I’m sure everyone in the audience learned a lot! 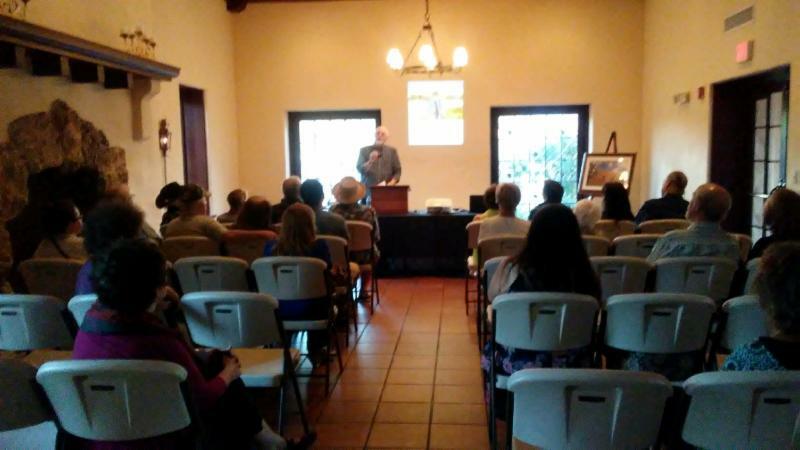 Thank you to everyone who took the time to come out for this great presentation. 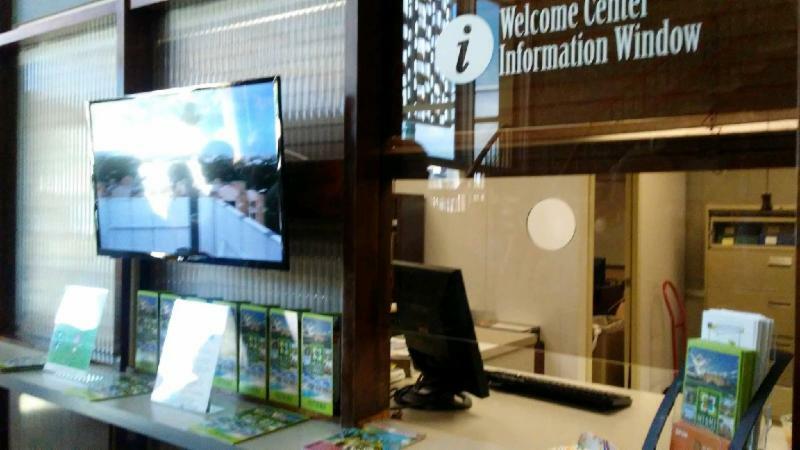 New Miami Springs Visitors Center! 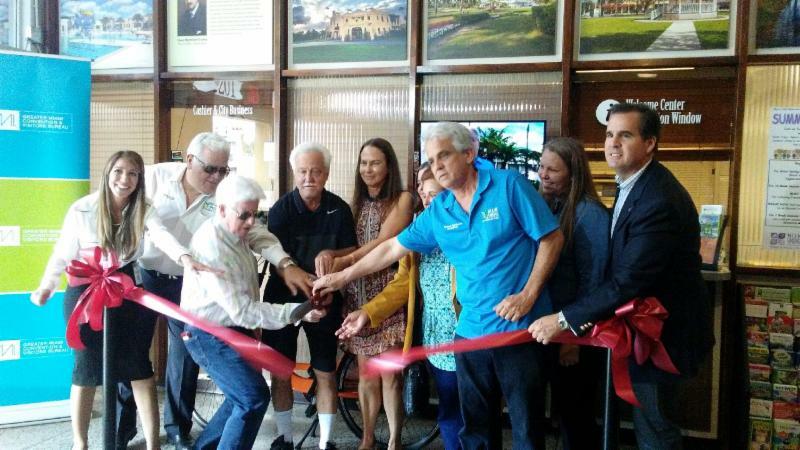 Congratulations to Miami Springs on their new visitors center! 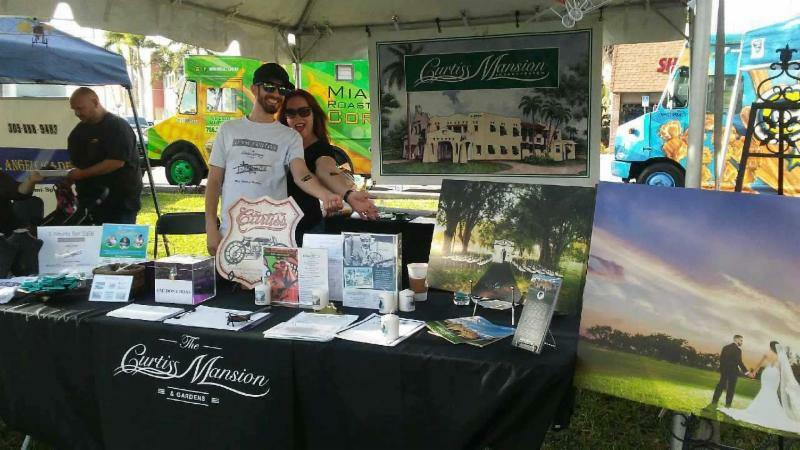 The Greater Miami Visitors & Tourism Bureau was instrumental in making this all possible. It looks beautiful. Locals – please take a moment to stop by City Hall and see it. 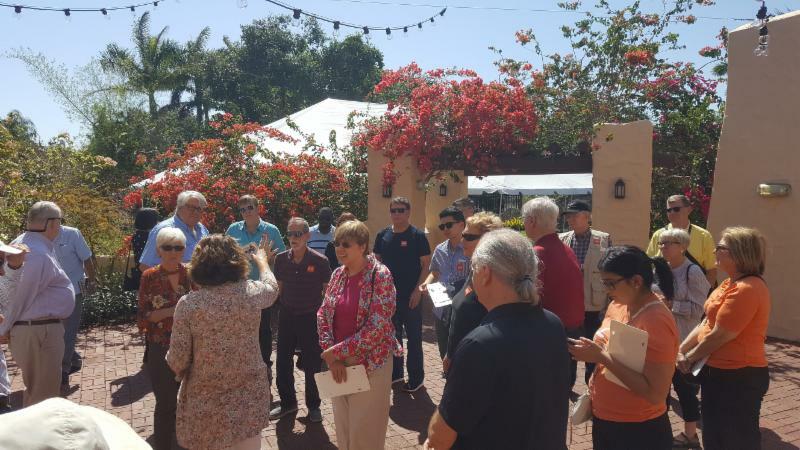 Great place to send visiting friends & family to show them what our city has to offer. 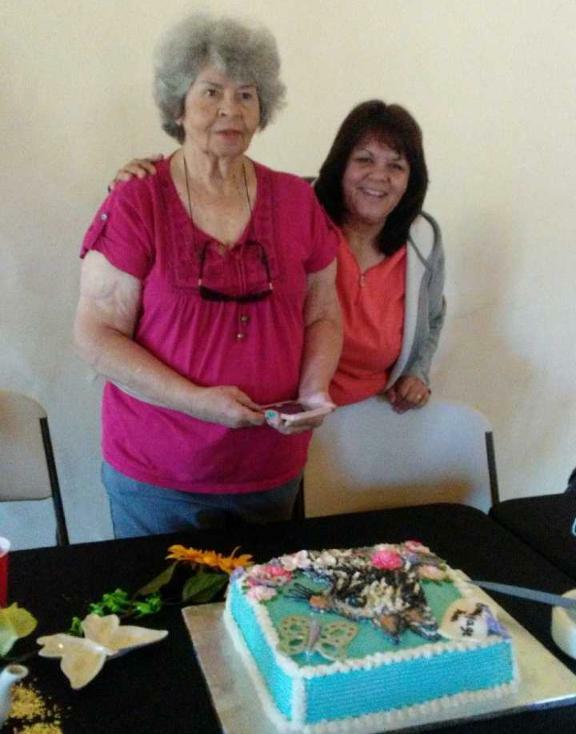 We are sad to say farewell to Jean Tucker. She has been a faithful volunteer here at the Curtiss Mansion, especially with the gardening and beautiful landscaping around the house. We wish her all the best as she moves on to new and exciting places. 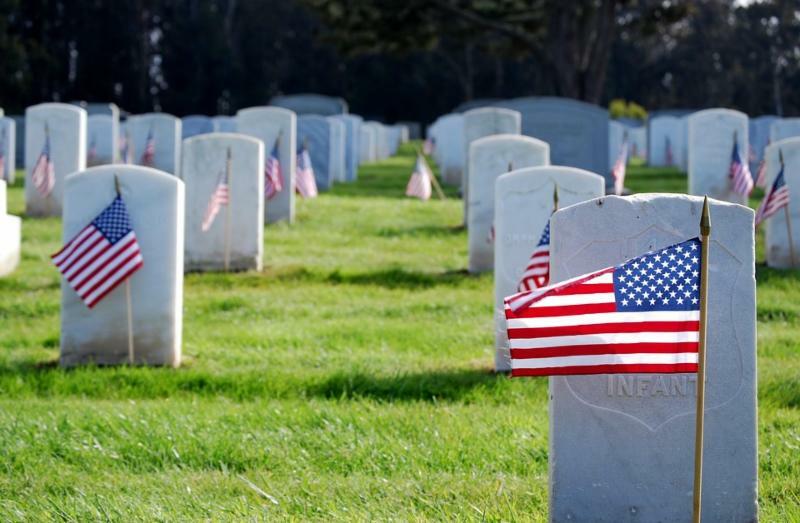 Thank you for all you have given to us while you were here! Most especially the butterfly garden and orchids. You will be missed. What a wonderful weekend at the 2018 River Cities Festival! This is a tradition we hope to participate in for years to come. It is always nice to be part of an event that brings so many parts of the community together. The children really enjoyed their Team Curtiss Tattoos and activity packs! 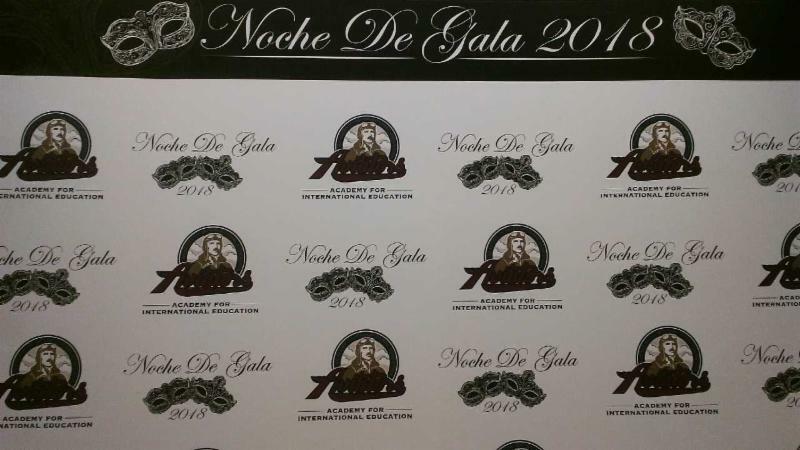 Proud to represent CMI at The Annual AIE Charter School Fundraising Gala this year. AIE’s facility is the former Glenn Curtiss Elementary. 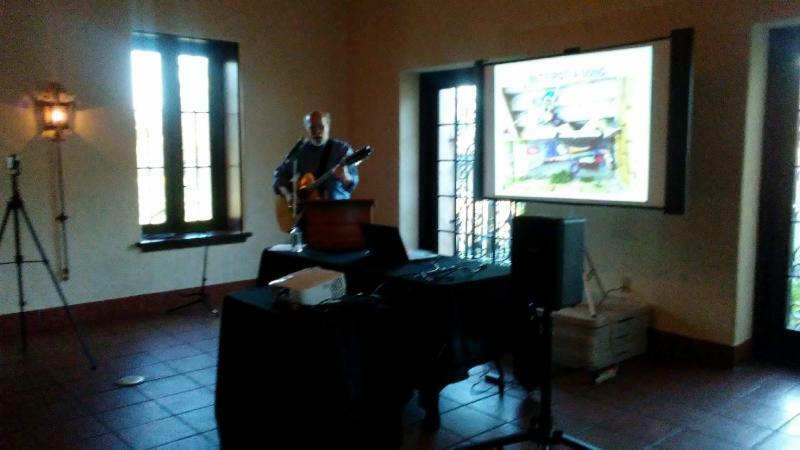 This year’s gala was held at The Maimi Springs Country Club. 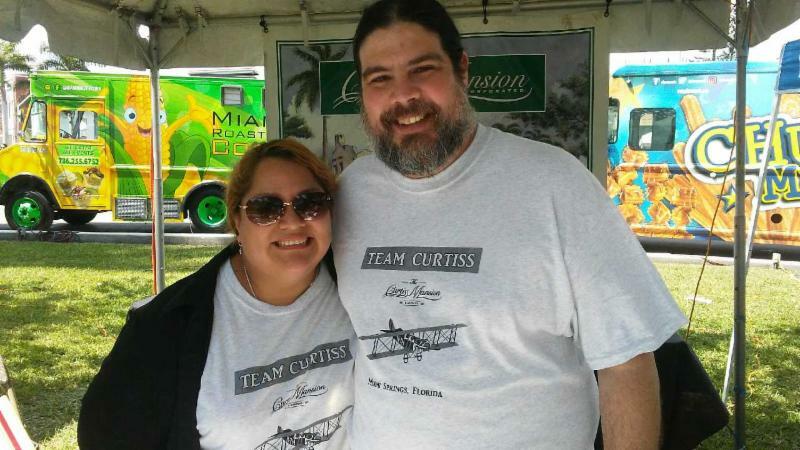 Love the step & repeat – Team Curtiss !! 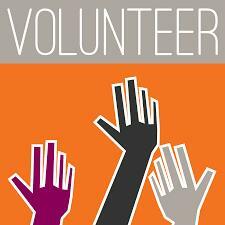 CMI & AIE will be working together on this upcoming school year. 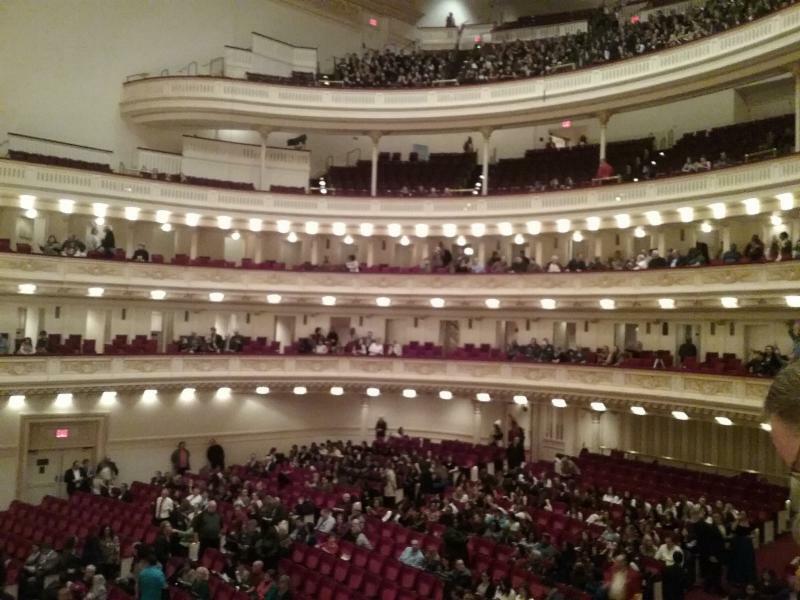 More info to come at a later date..
Congratulations to our volunteer and part-time front desk worker, Heather Robison for participating in the National Youth Choir Festival at Carnegie Hall in New York City! 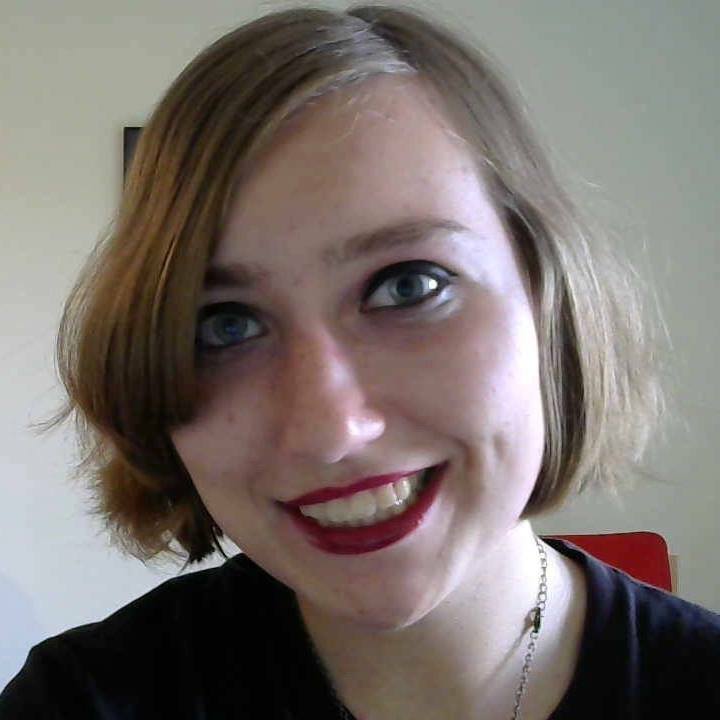 Her choir was one of just 20 youth choirs from across the country chosen to participate. We are very proud of you and this wonderful accomplishment. 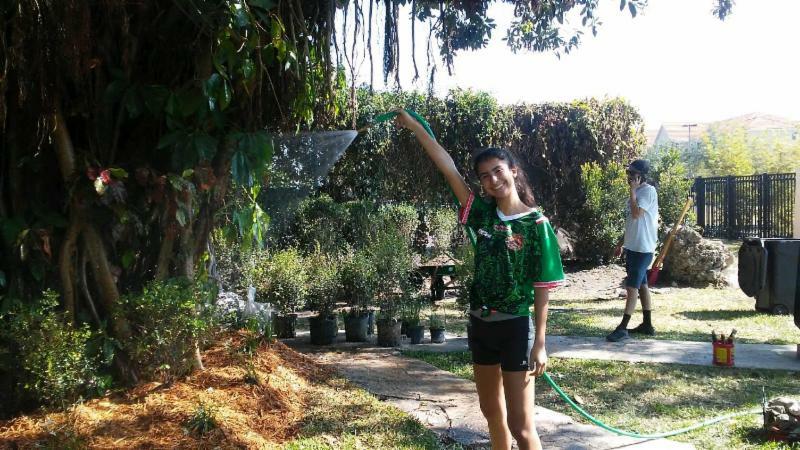 We are very excited for Anchor Club’s newest Environmental Project! They are helping us to update the wedding garden near the original BBQ. This area is our secondary wedding site for smaller ceremonies. They are using all native plants which are white, flowering, and fragrant. With their help we have also been able to plant 5 Slash Pine trees, known as Dade County Pines, by the lake. 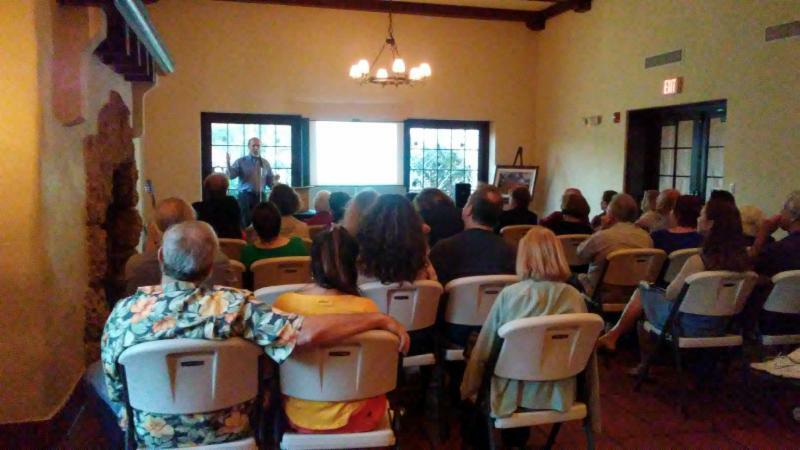 April Public Speaker Buzz Fleischman! 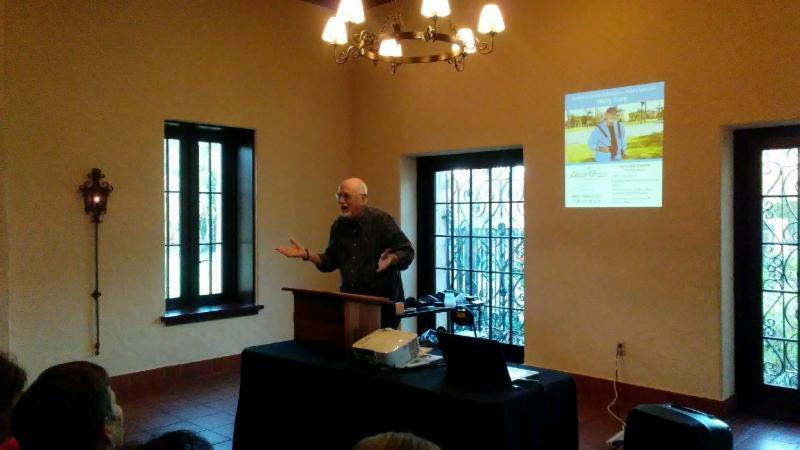 Buzz Fleischman was our April speaker last week. He shared his views of living a long and happy life. It was very funny, and I’m sure everyone learned a thing or two. 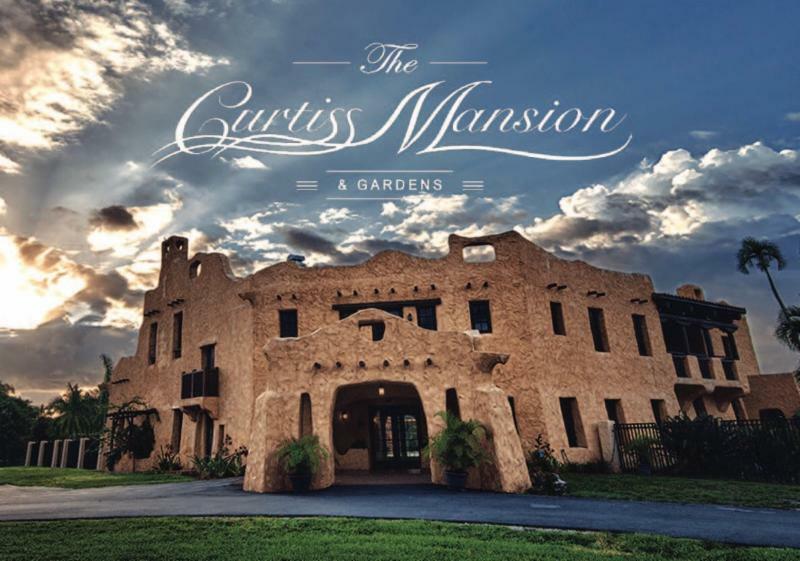 Thank you to Buzz for taking time to do this, and for always being such a great support here at the Curtiss Mansion. 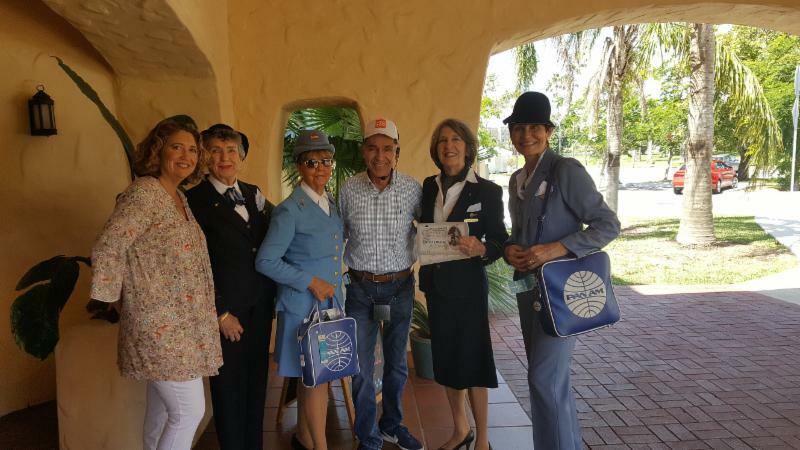 Thank you to HistoryMiami for stopping to see us on their History of Aviation Tour! 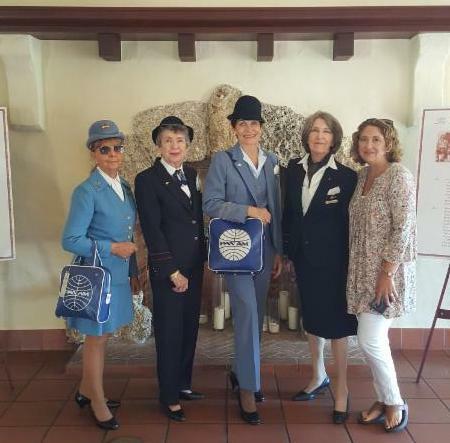 A big thanks to Dr. Paul George who led the tour, and all of the wonderful Pan Am Crew (‘stewardess’ in their day) from the local World Wings Chapter who came to welcome the visitors. 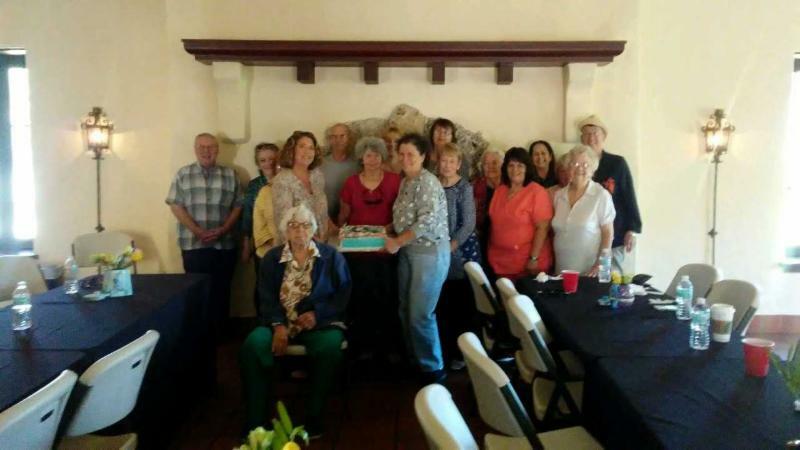 This was a very fun morning and it was exciting to see so many new faces at the Curtiss Mansion who are passionate about history and preservation. 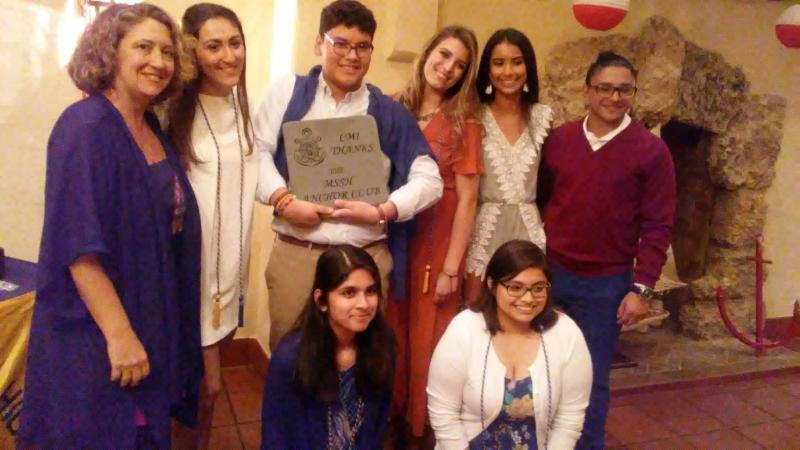 The Miami Springs Anchor Club hosted their annual awards ceremony here this past weekend. 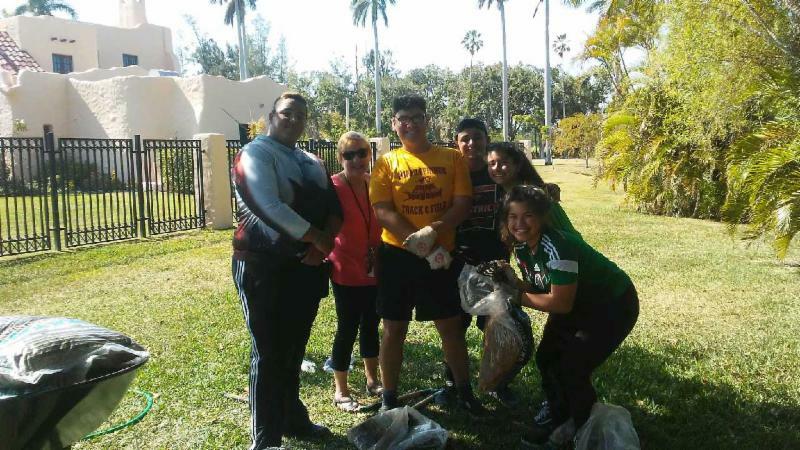 We are so thankful that we have such a dedicated group of students that have made such a difference on the grounds here at the Curtiss Mansion. 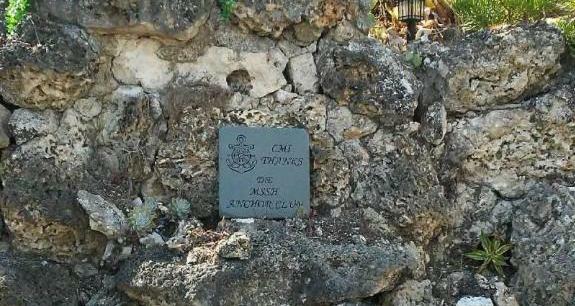 This dedicated stone is just a small way of expressing our gratitude. 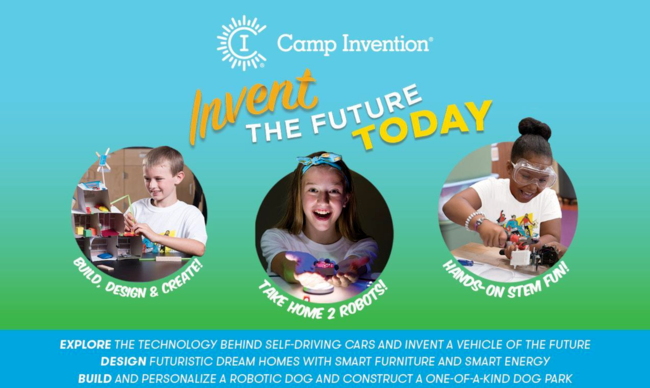 Camp Invention Returns to the Curtiss Mansion! 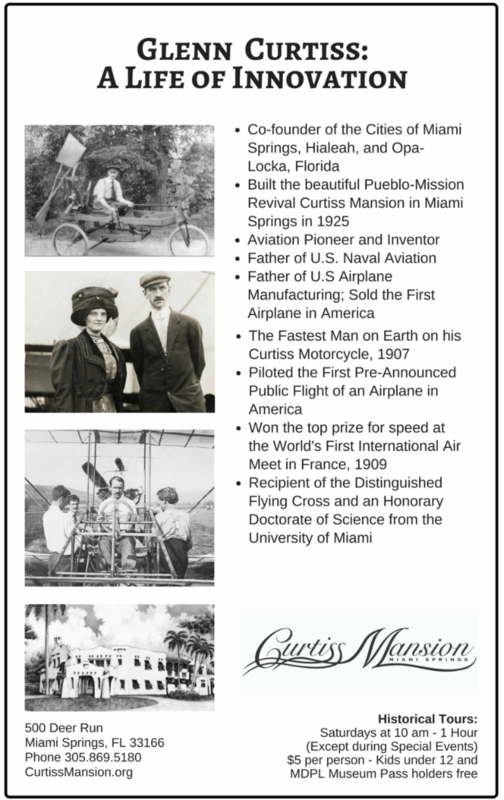 Glenn Curtiss’ 140th Birthday, May 21st! 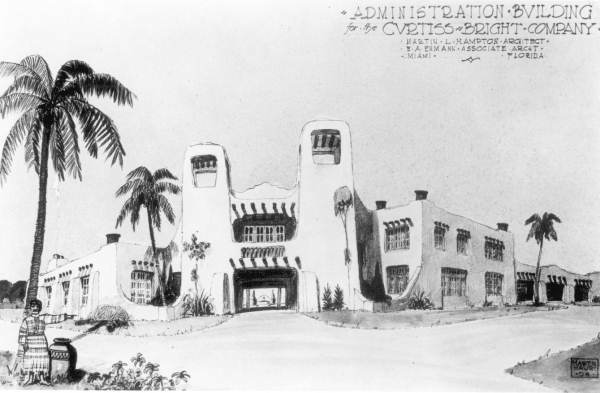 In honor of Glenn Curtiss’ birthday- Executive Director, Melinda Jester, will be giving a talk about his contributions to the land boom of the 1920s with a focus on architects he worked with & architecture he was fond of. 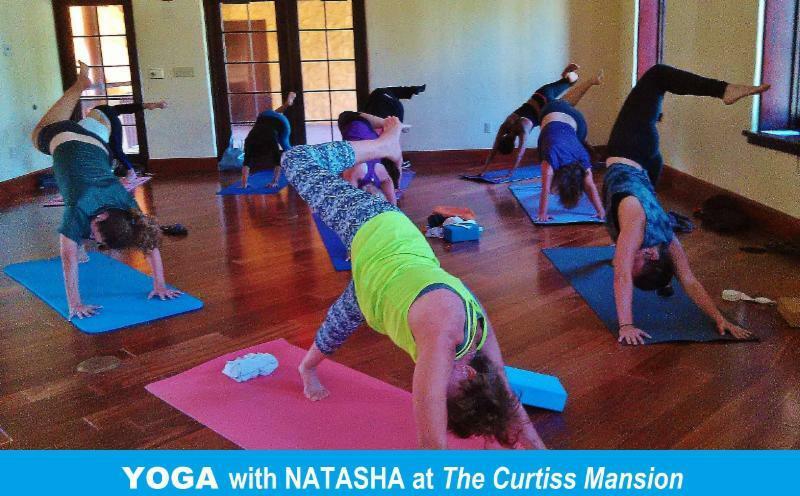 Don’t Miss Yoga Every Week! 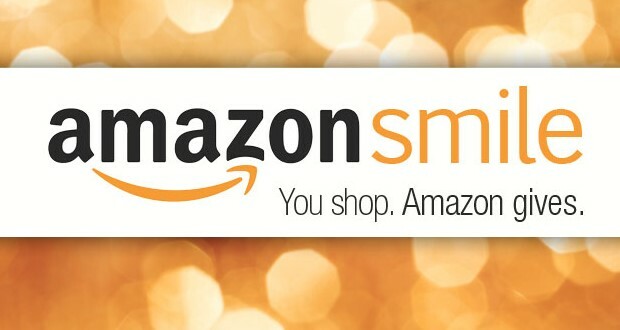 Every Week at 10AM! 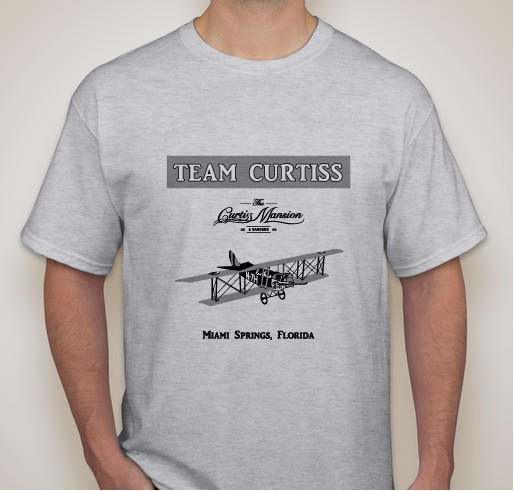 Help us Celebrate Glenn Curtiss’ Birthday entire month of May!